The Samsung Galaxy S4 launch might be over a month away, but if you're looking to bring a touch of SGS4 to your current device, a freshly-leaked selection of goodies may be able to help. 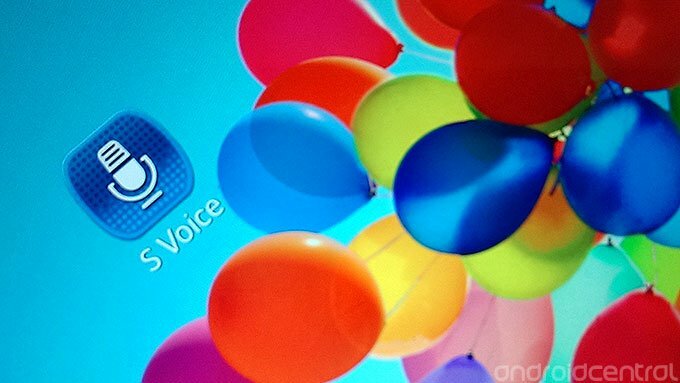 SamMobile has obtained a sampling of ringtones and wallpapers, along with the "S Voice" voice assistant app. S Voice works much the same as it does on any other Samsung device, though it does seem to have undergone some cosmetic changes since we last saw it. Note as this is presumably taken from pre-release firmware, things may be broken or slow, even if you're using it on a Samsung handset. The wallpapers and ringtones are in line with what we'd expect form a Samsung phone, and eagle-eyed readers may remember some of the images from our hands-on coverage of the Galaxy S4. There's an abundance of primary colors, which we imagine is designed to show off the S4's saturated Full HD SuperAMOLED display. And the ringtones are dominated by the same mix of gentle, nature-inspired tones found on the Galaxy S4. Download locations for the ringtones, wallpapers and S Voice app can be found at the source links below. Update: The system image from which this stuff is taken is now available to download too.